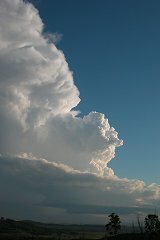 Images appearing on this page must not be reproduced without permission. 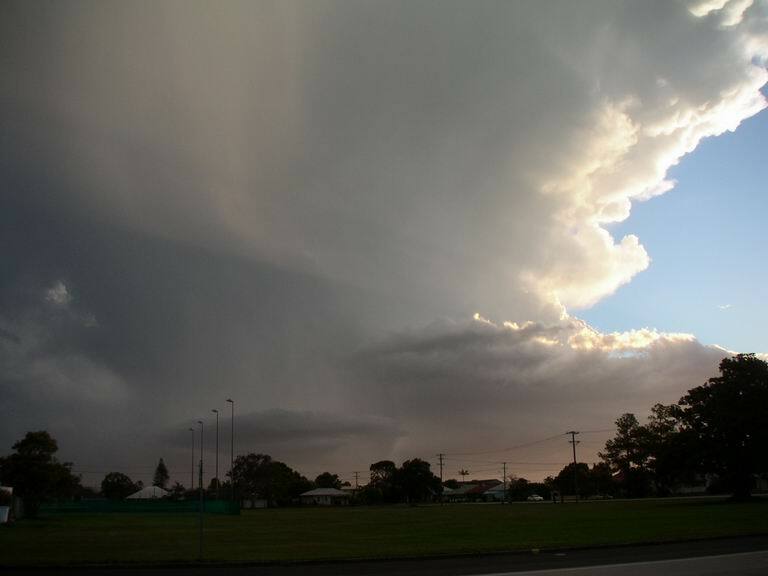 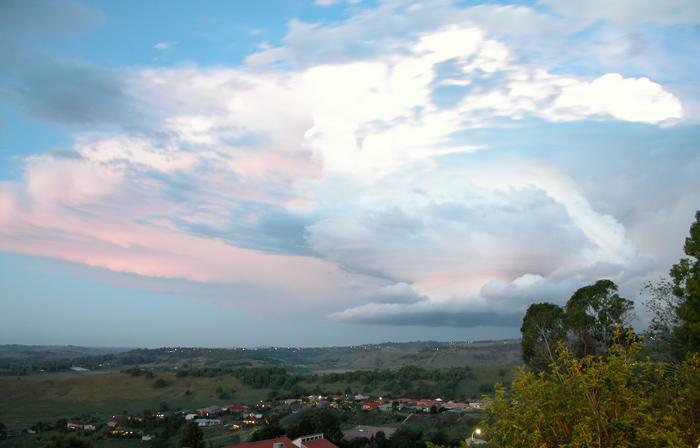 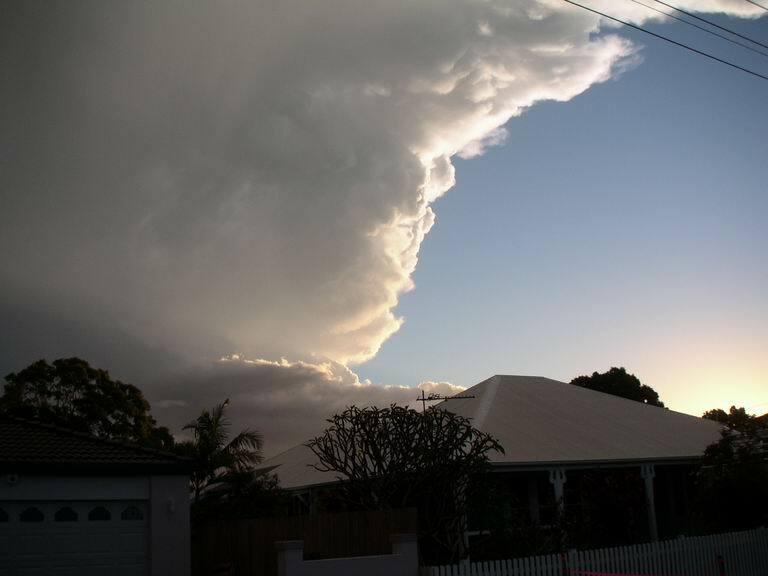 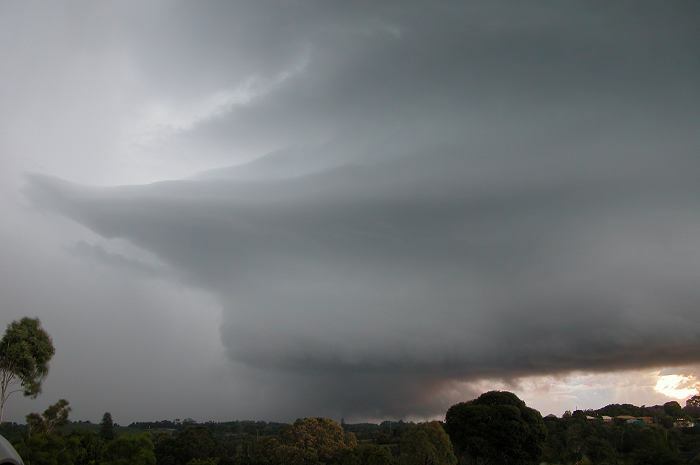 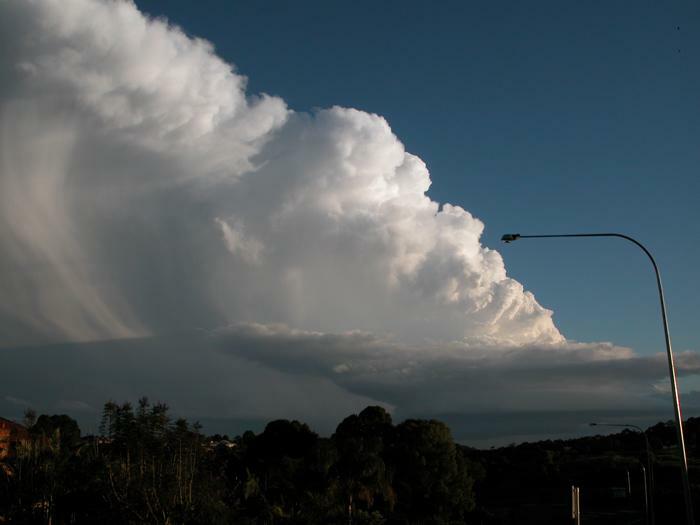 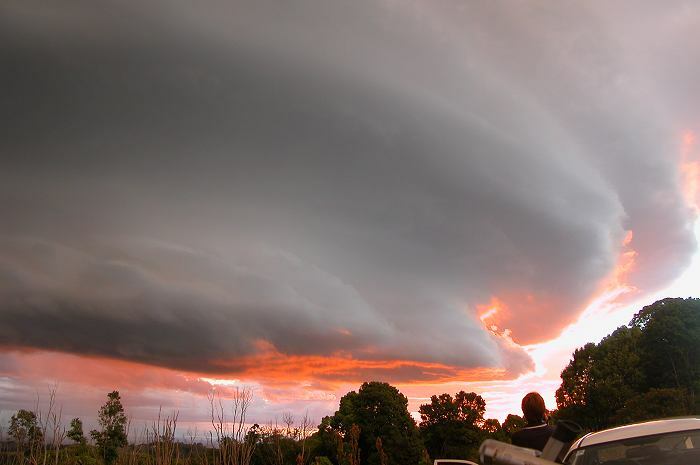 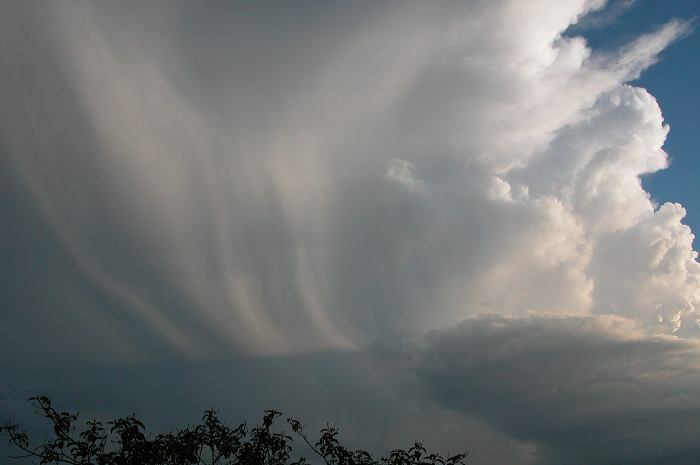 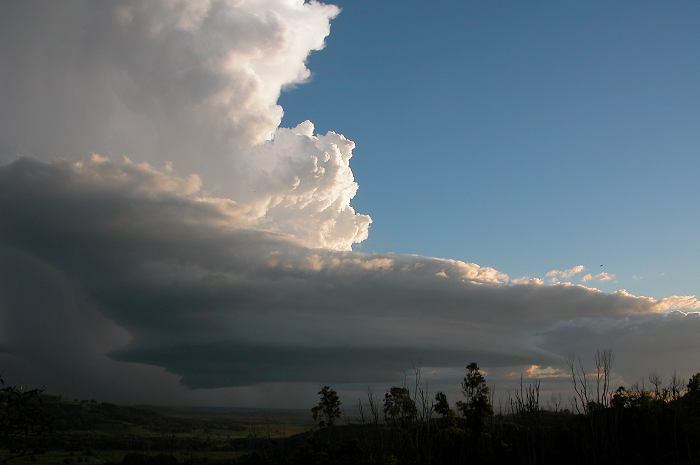 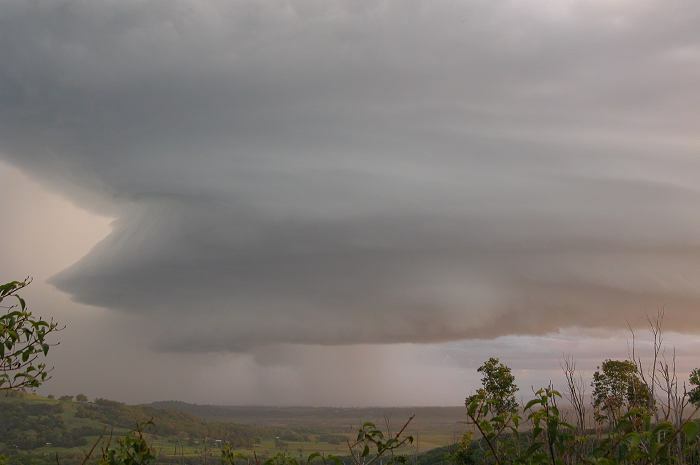 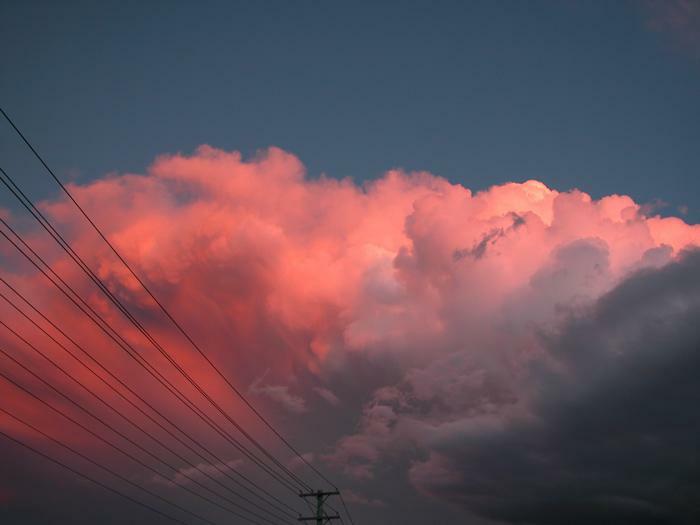 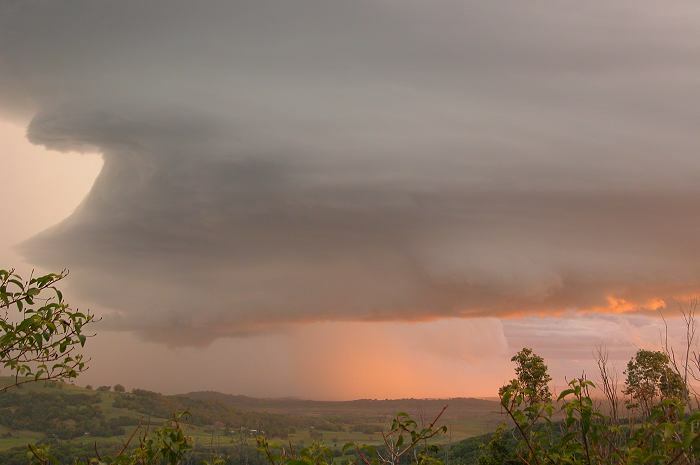 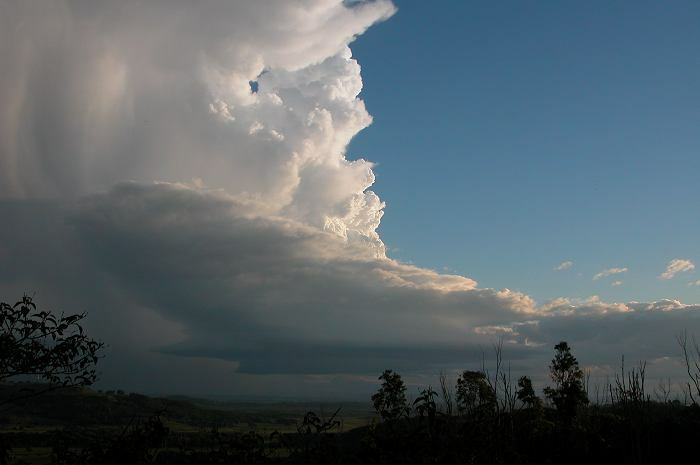 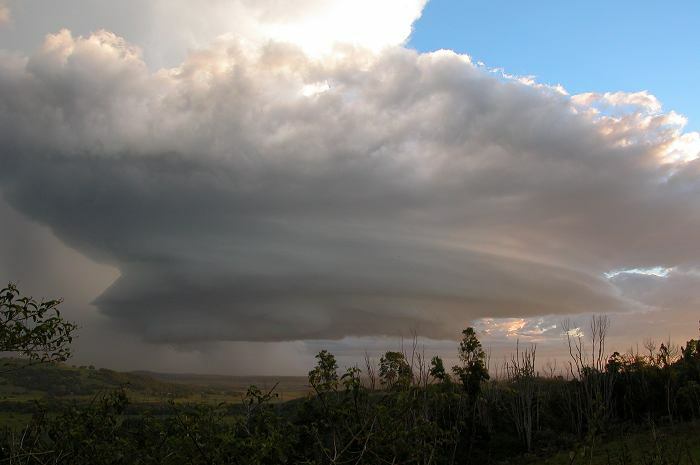 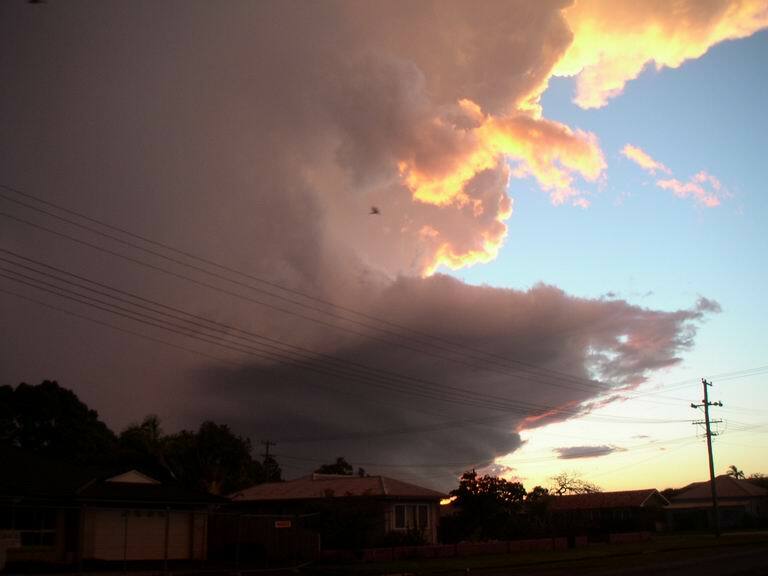 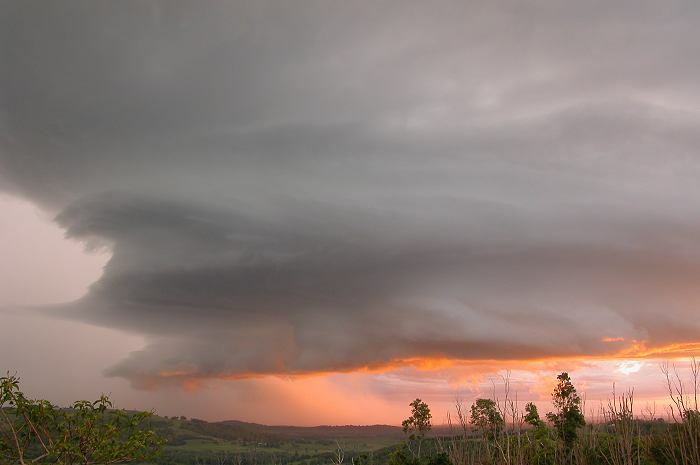 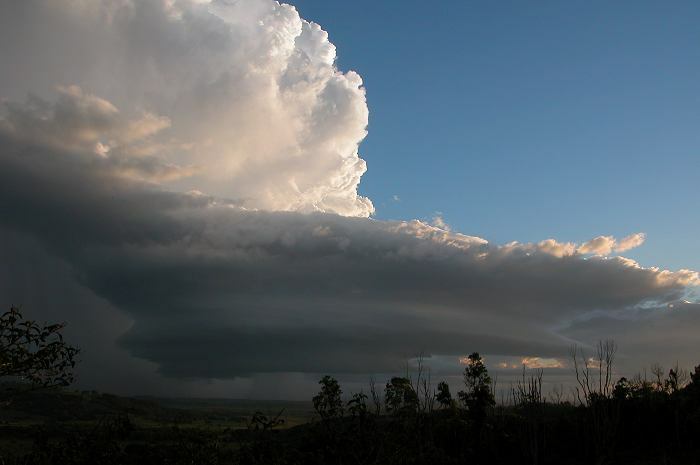 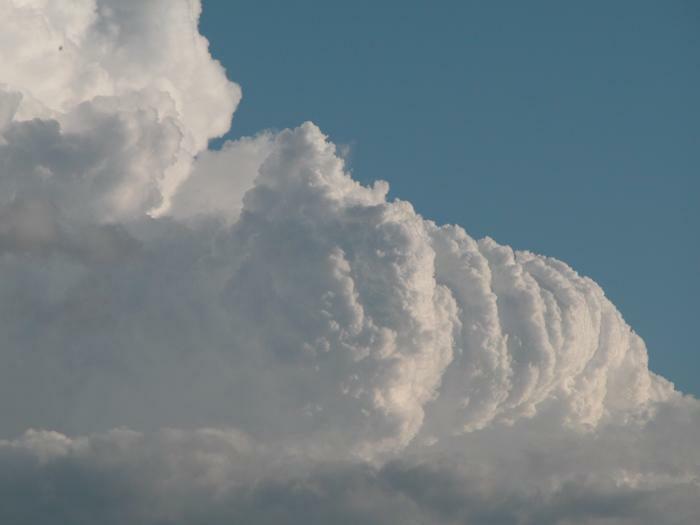 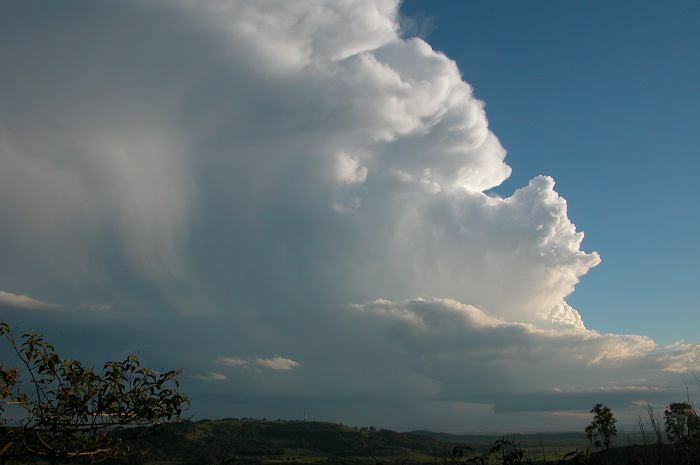 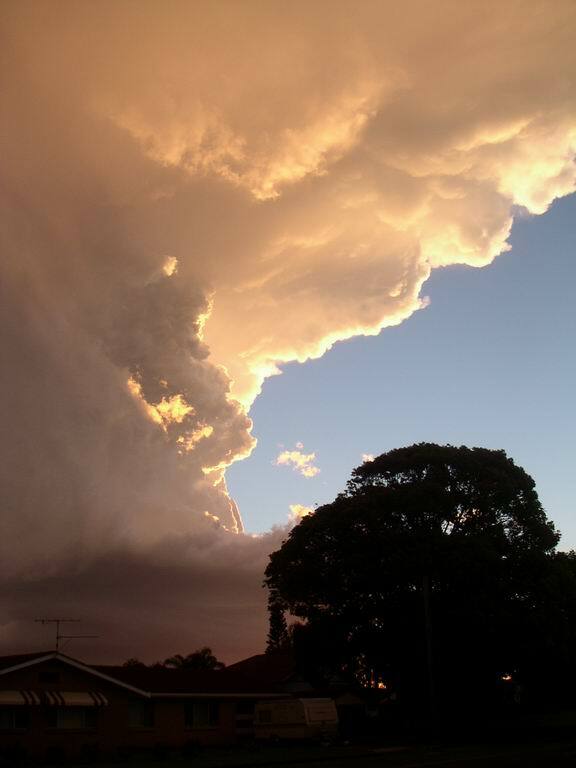 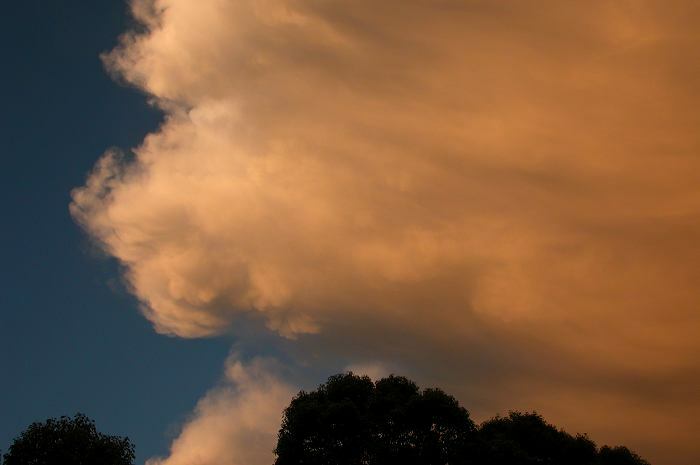 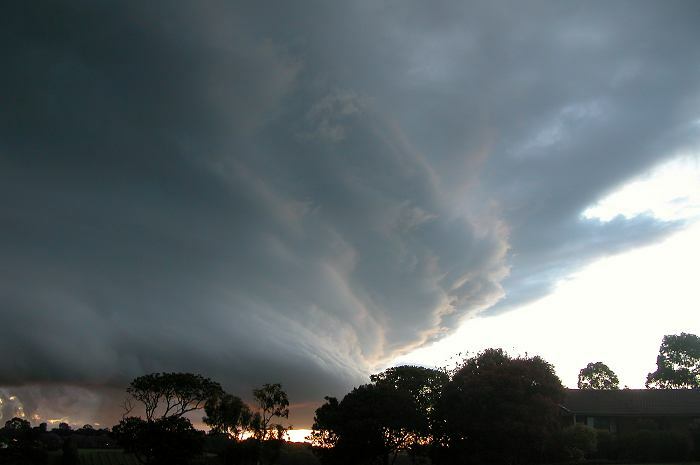 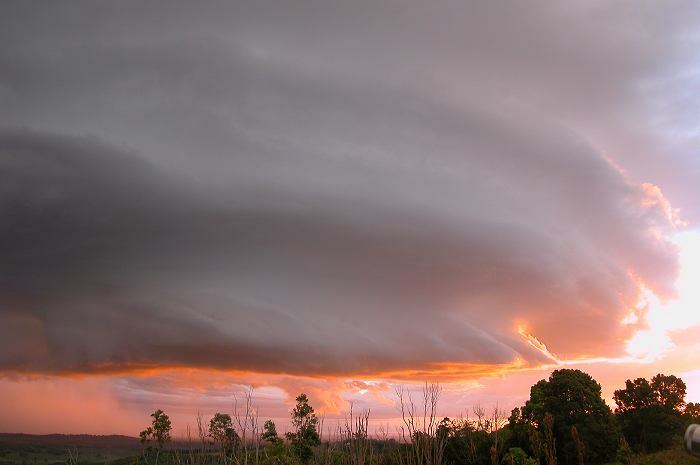 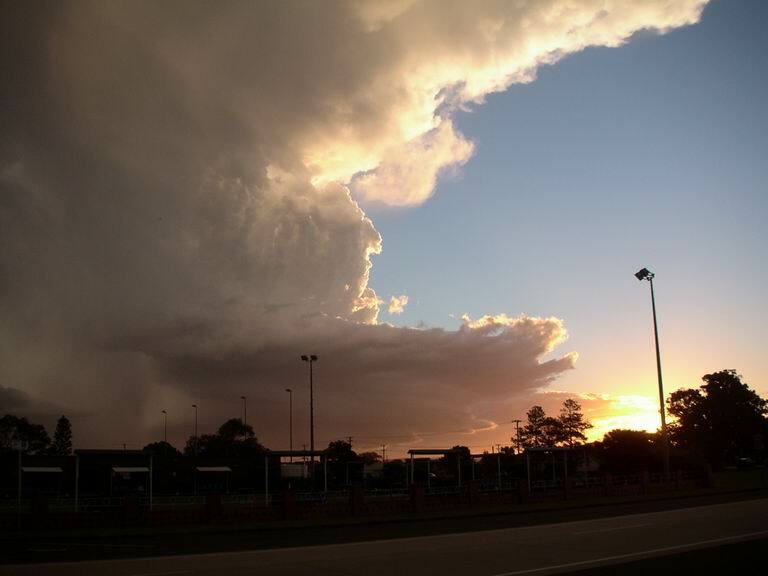 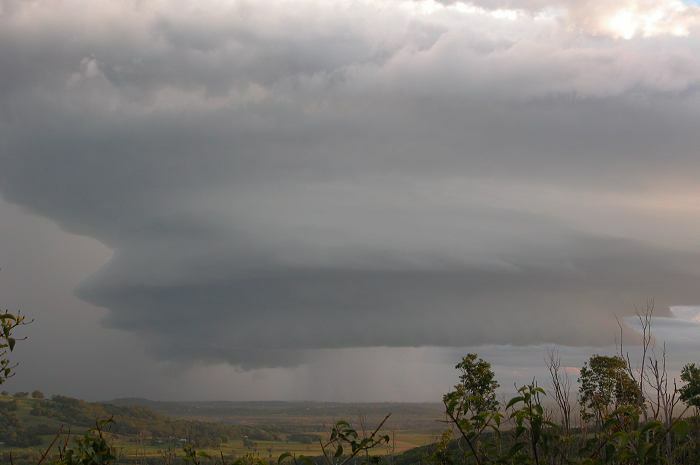 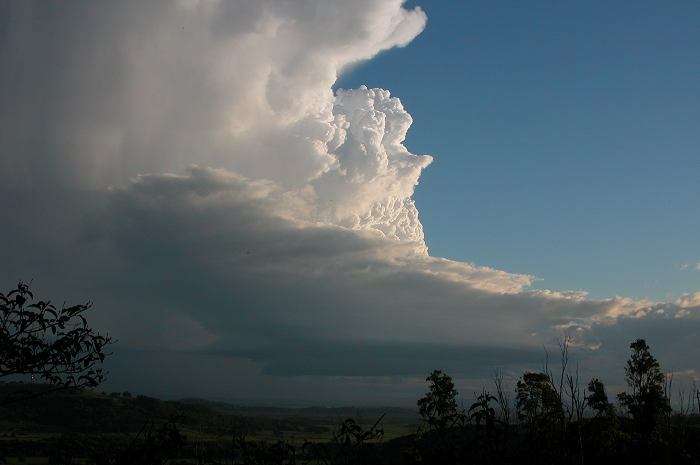 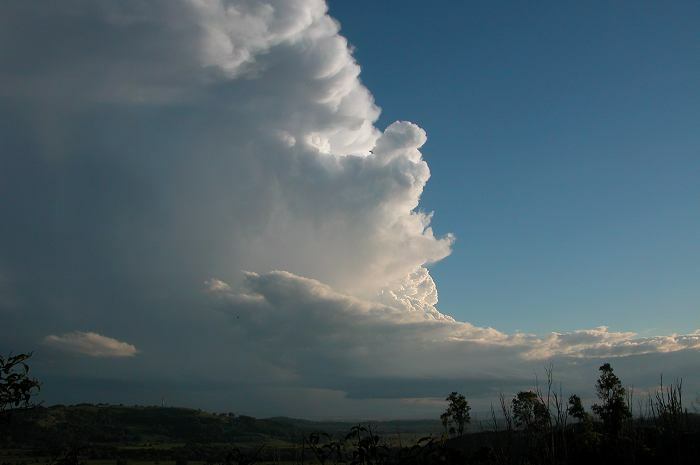 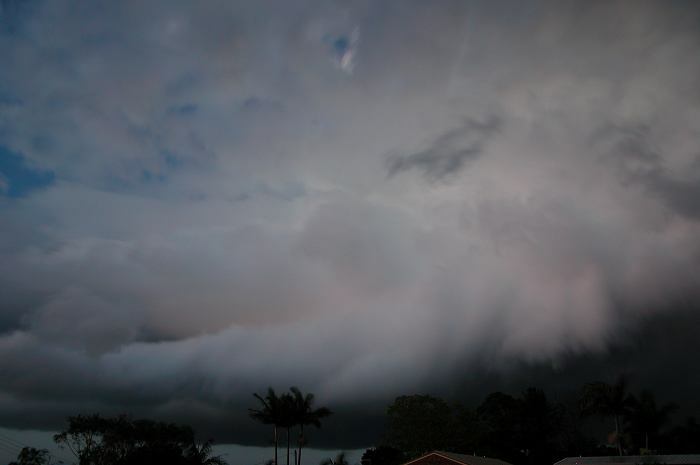 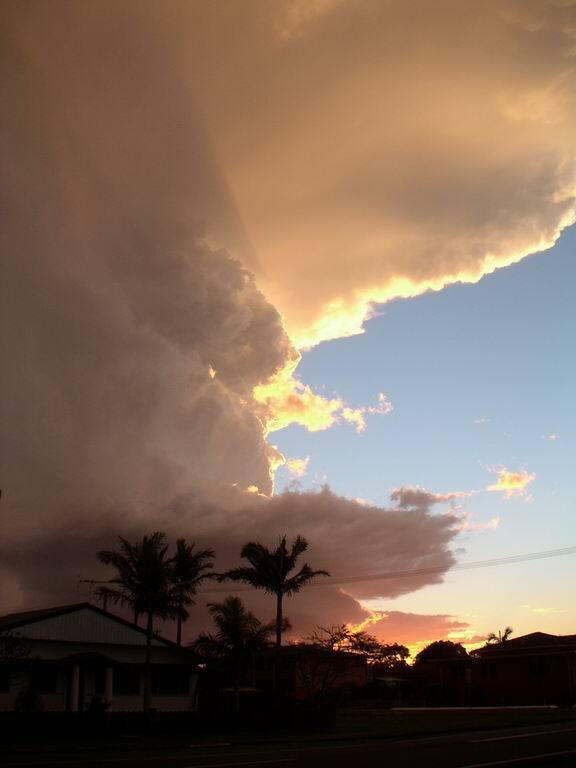 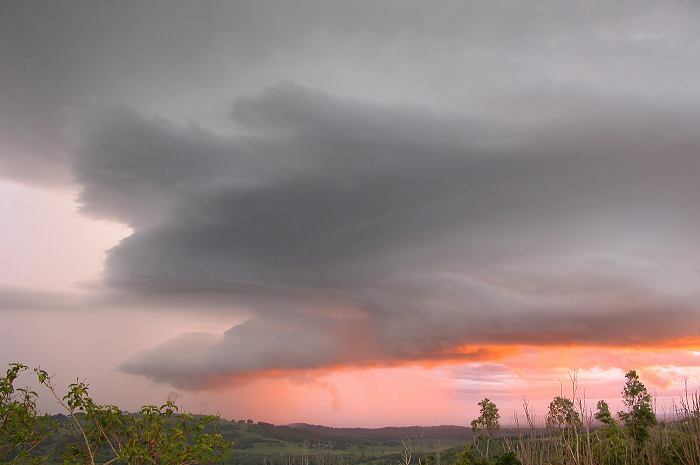 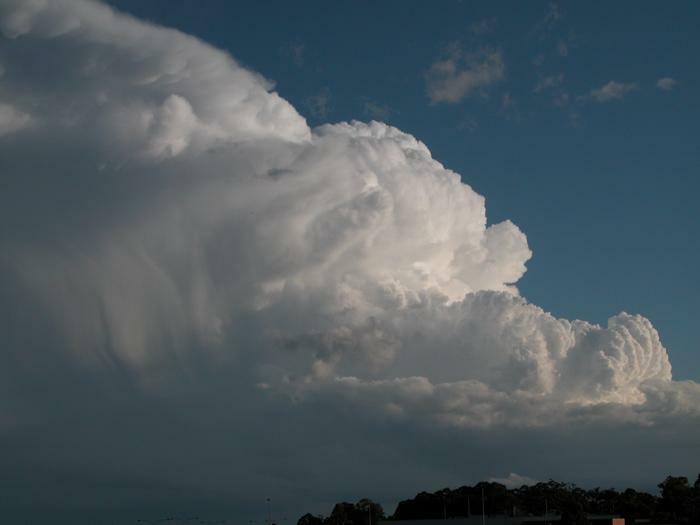 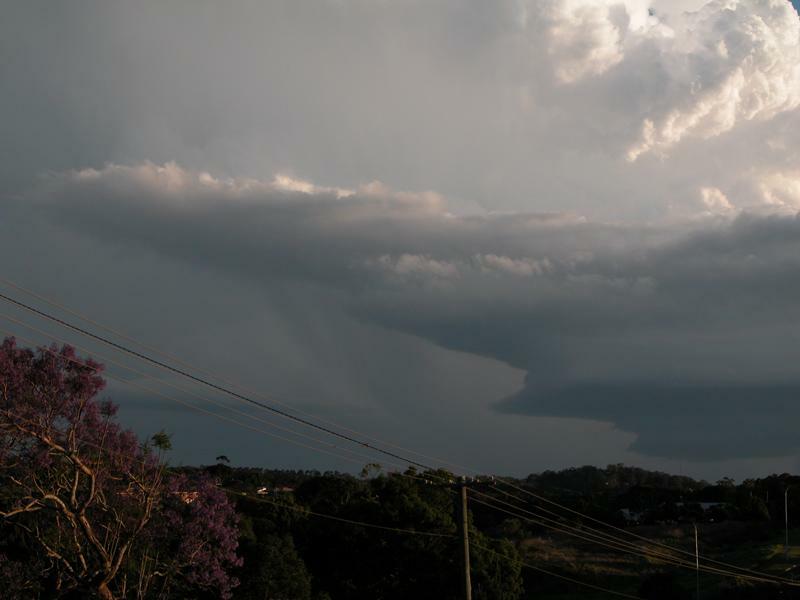 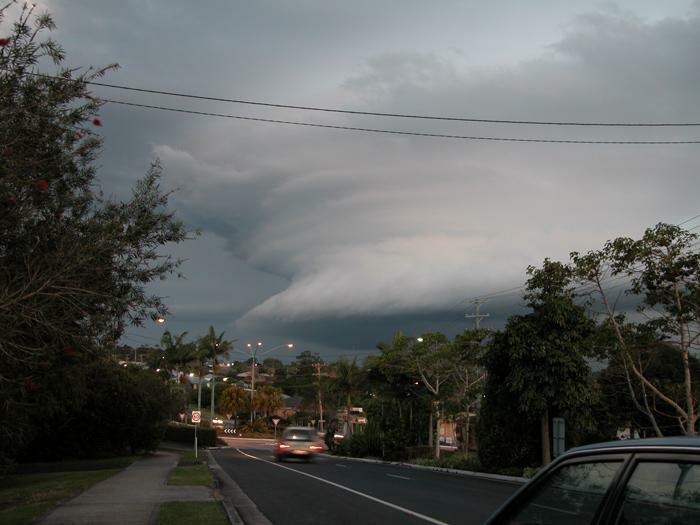 A cloud band had moved through the Northern Rivers district during the morning with some heavy rainfalls totalling up to 35mm in 2 hours or so. 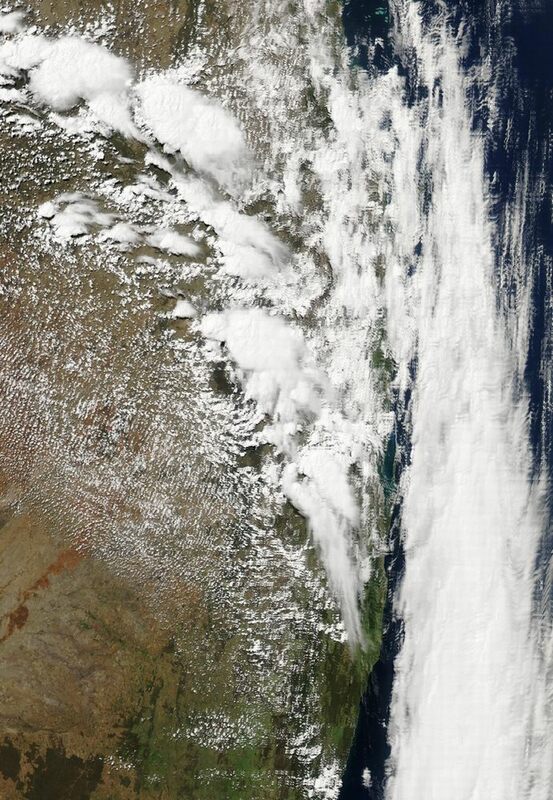 It took until about noon before the last part of the cloud cleared to the east. 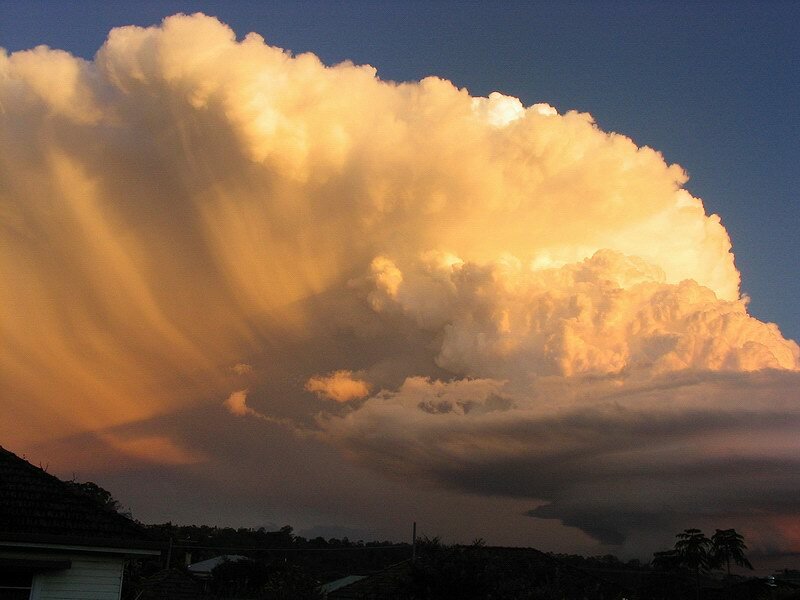 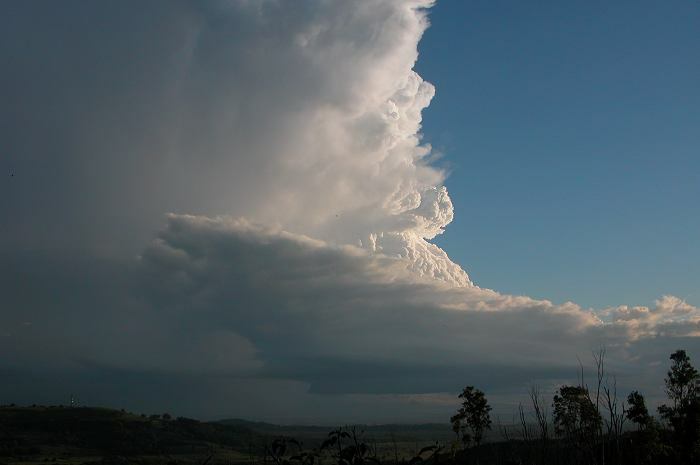 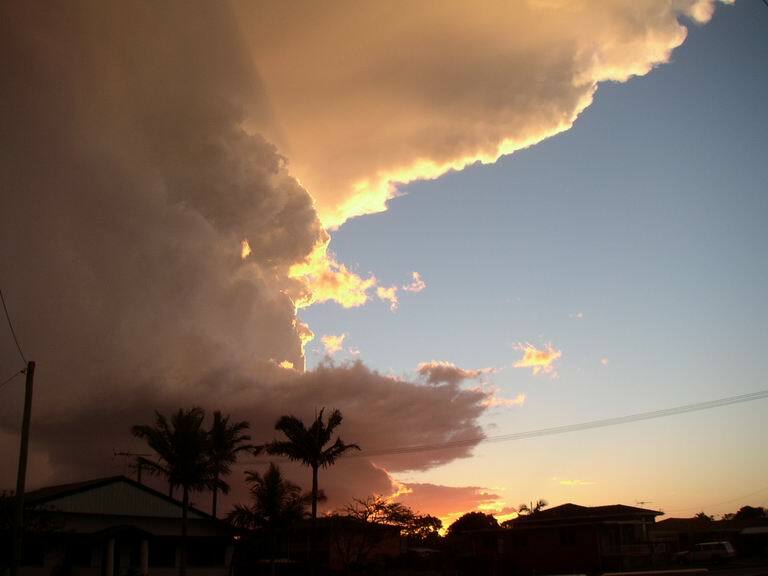 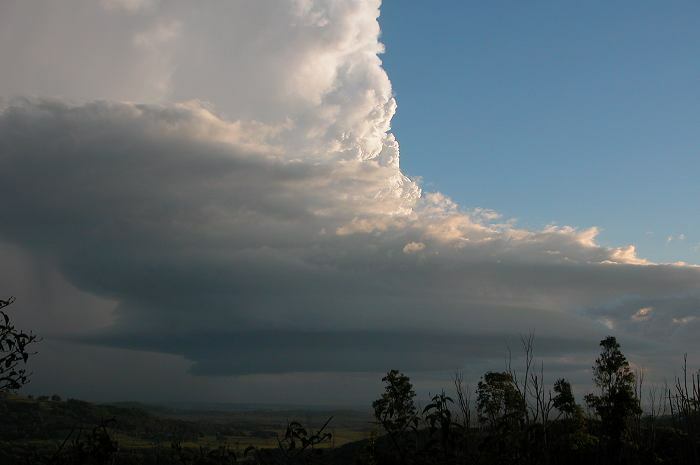 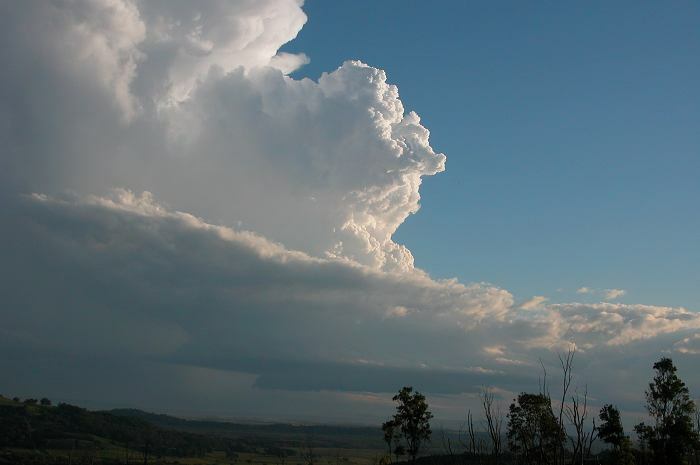 Severe storms developed over the border in Southeast Queensland about 200km to the NW. 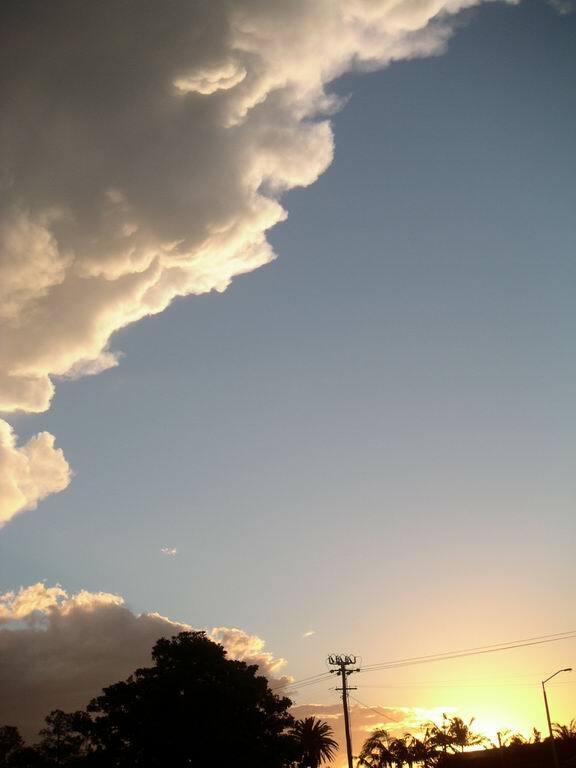 The Northern Rivers remained largely clear of any cloud apart from some medium sized cumulus persisting westward of the coast. 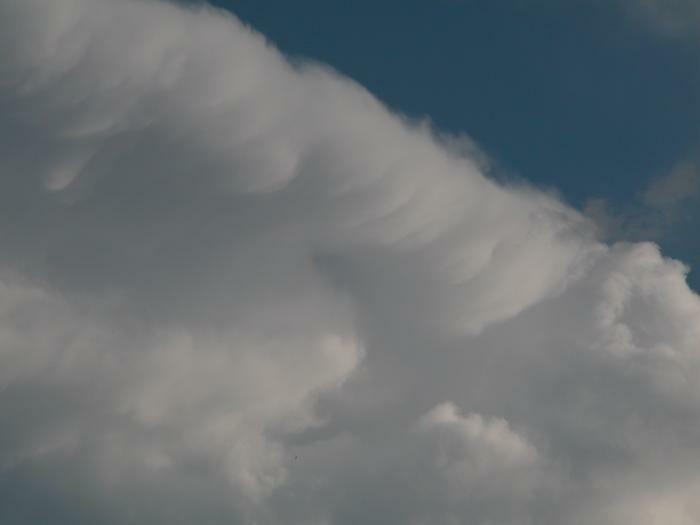 Winds which had been northerly tended to the NW and the sky took on a rather dry appearance but the DP remained in the mid teens. 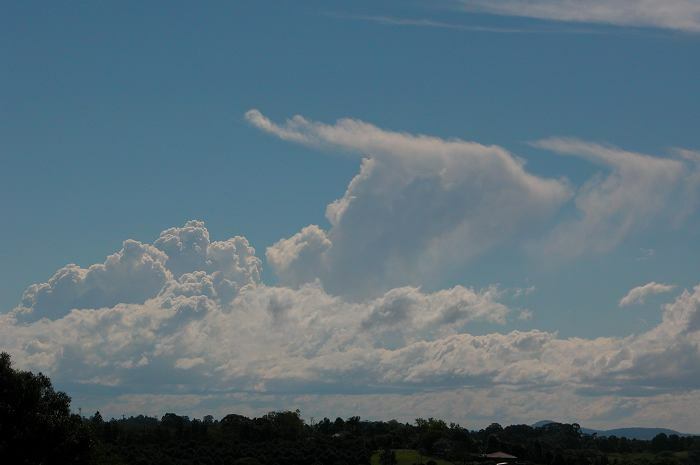 Cumulus persisted and the winds eventually tended to the NE by about 4.15pm. 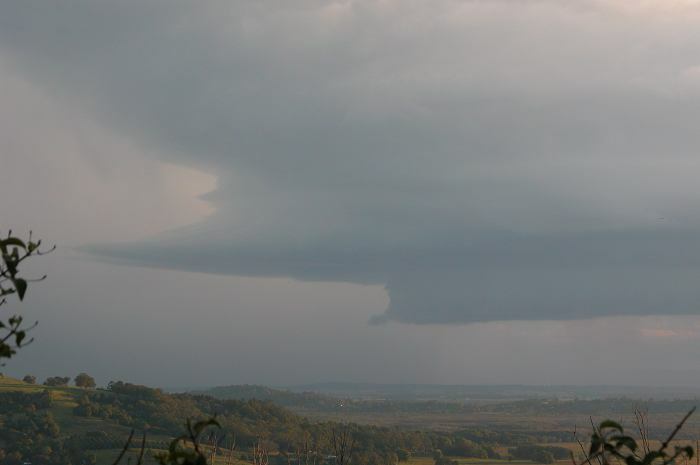 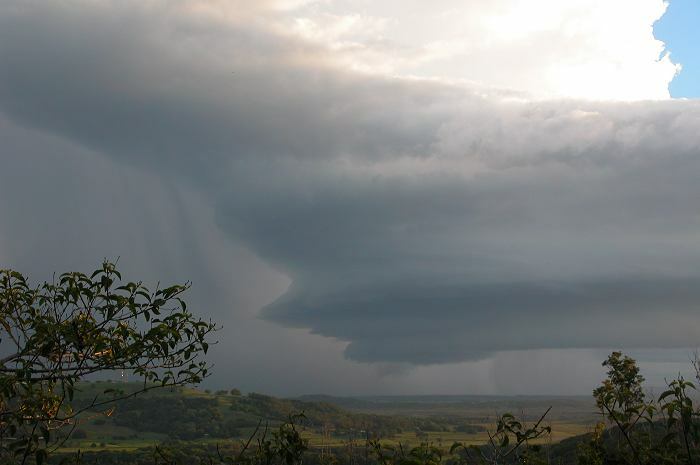 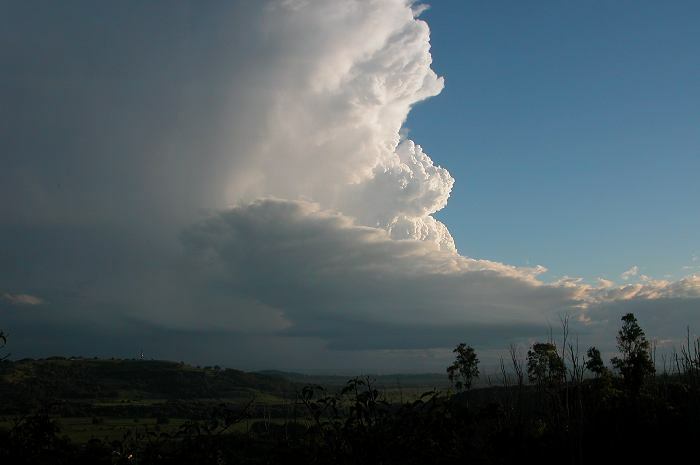 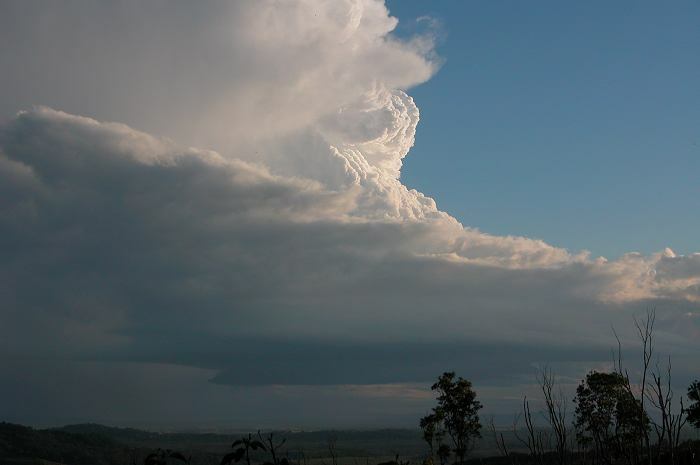 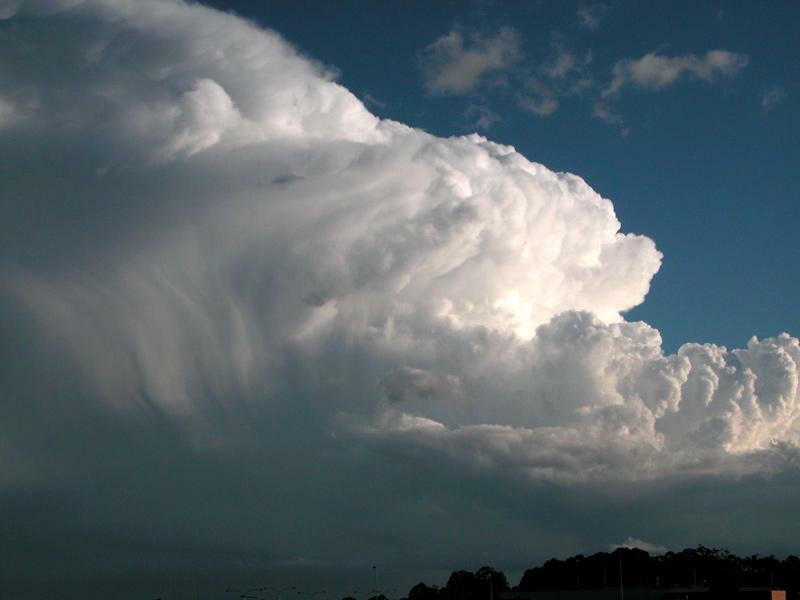 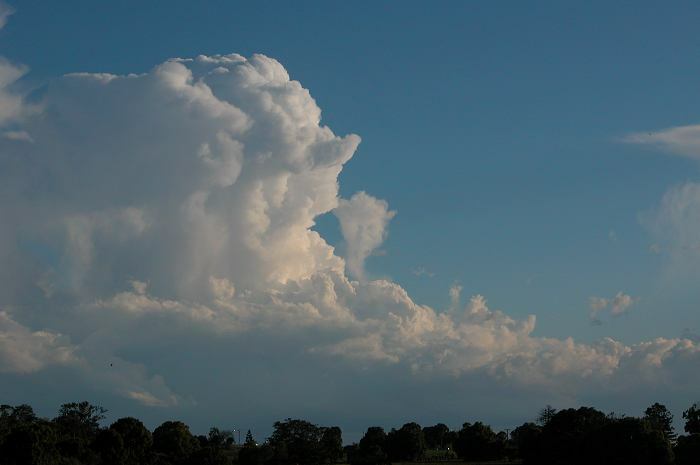 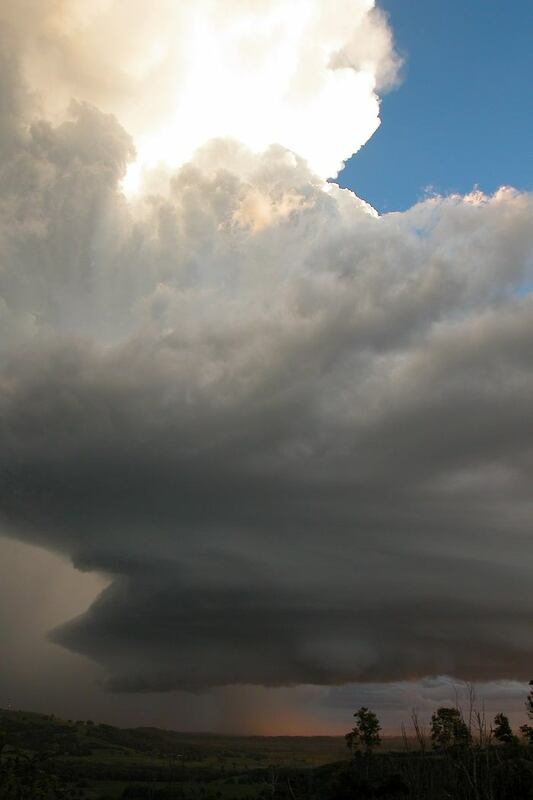 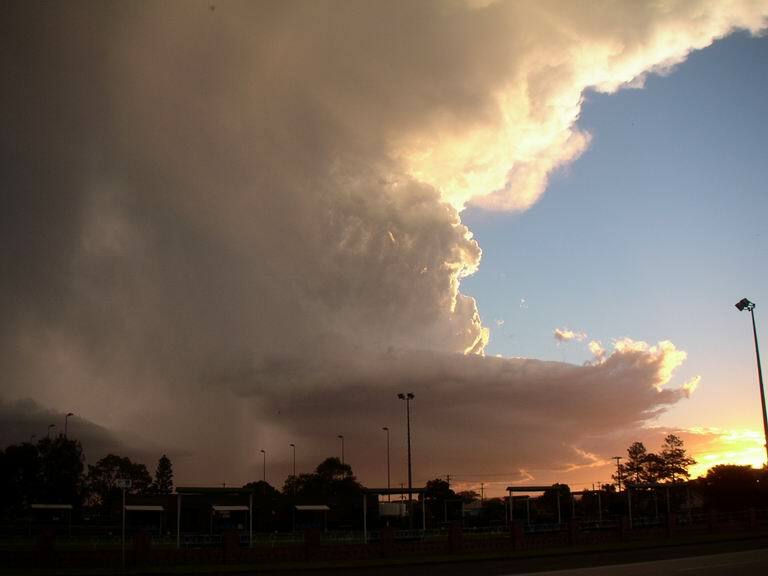 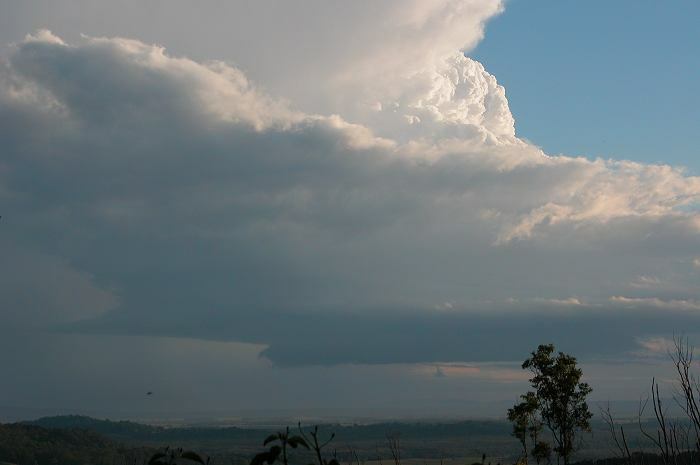 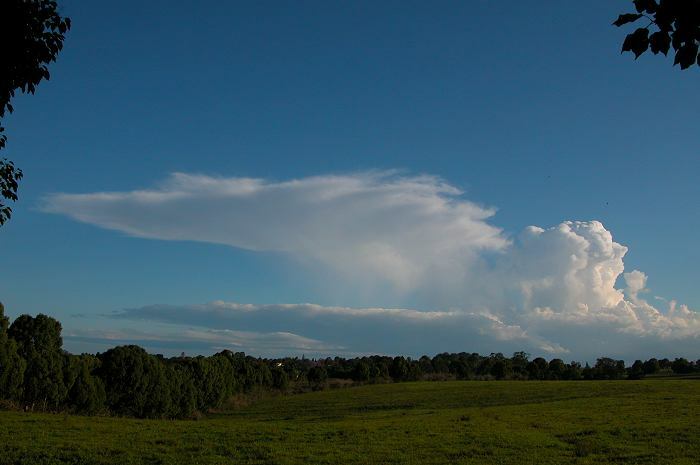 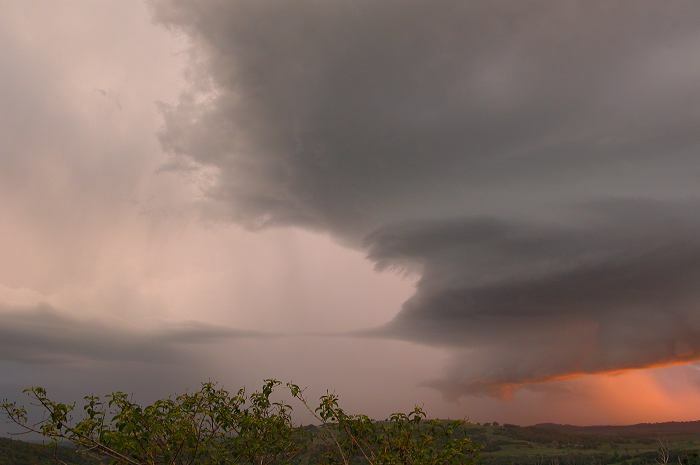 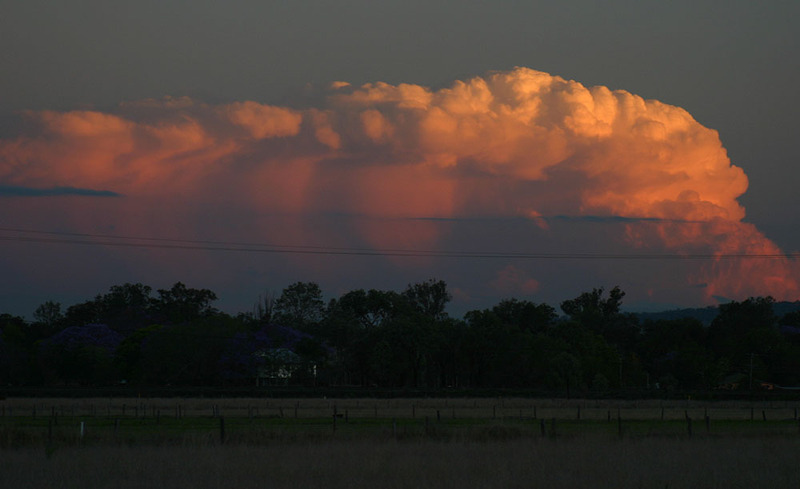 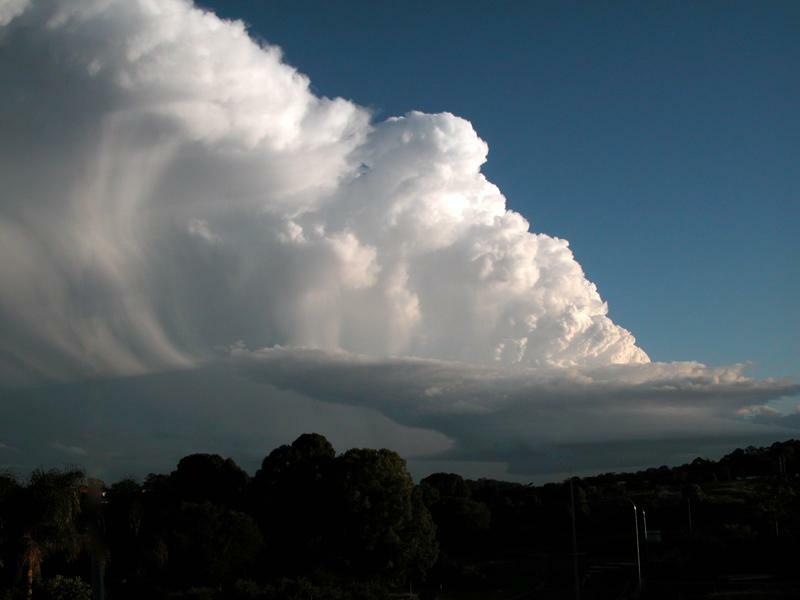 Turkey towers developed NE of Grafton, and it wasn't long before an isolated dominant cell really took off.